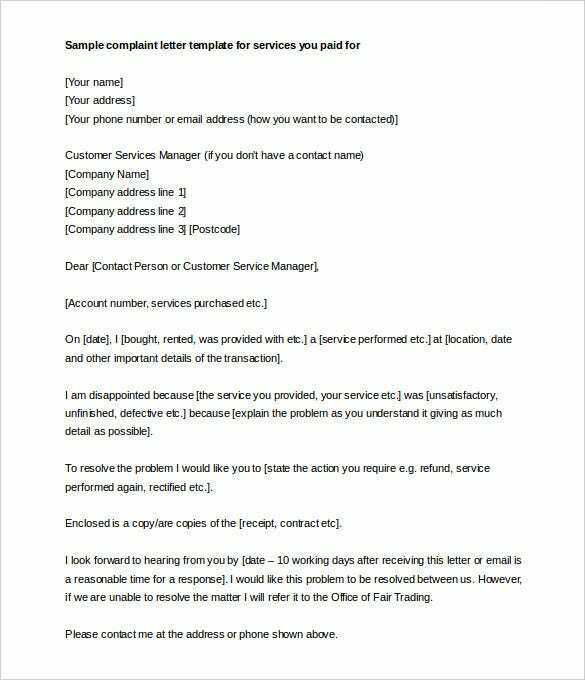 Complaint Letter – 10+ Free Word, PDF Format Download! 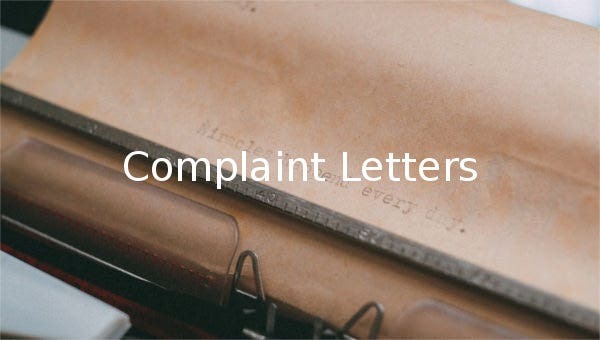 By simple definition, a complaint letter is essentially a document that talks of the grievances faced by parties such as employer, employee, vendor, supplier, client or customer. These letters are available as readymade templates in multiple formats like MS Word, PDF and PSD. A complaint letter run along specifying a problem, probable solutions and suggestions for resolving the same, a warning (if necessary, it is option.) It is important that such letters be close-ended. To write about a Sample letter of complaint, one must always keep in mind to highlight the error that has caused discomfort and left the person on the receiving end dissatisfied. 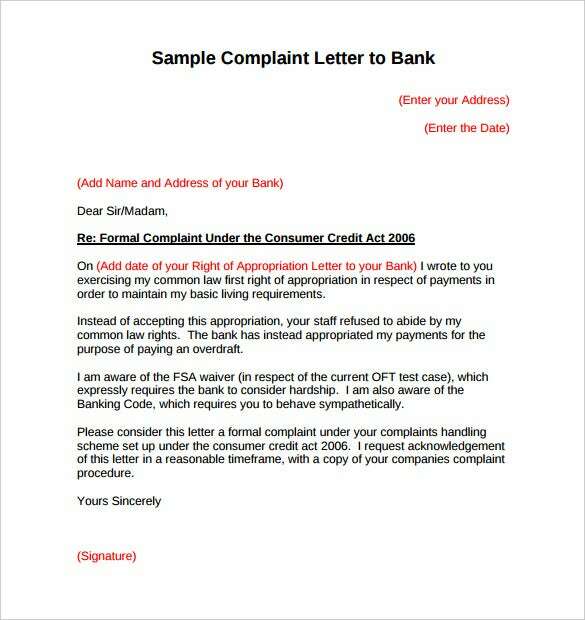 The sample letter of complaint must support file formats like MS Word, PDF and PSD. When writing a complaint letter, the language you use must be formal and it must exhibit your discomfort regarding the problem that’s troubling you. Your discontent must be palpable to the reader, enough to make him take appropriate action in your favor. The examples of such letters is available in MS Word, PSD and PDF formats. 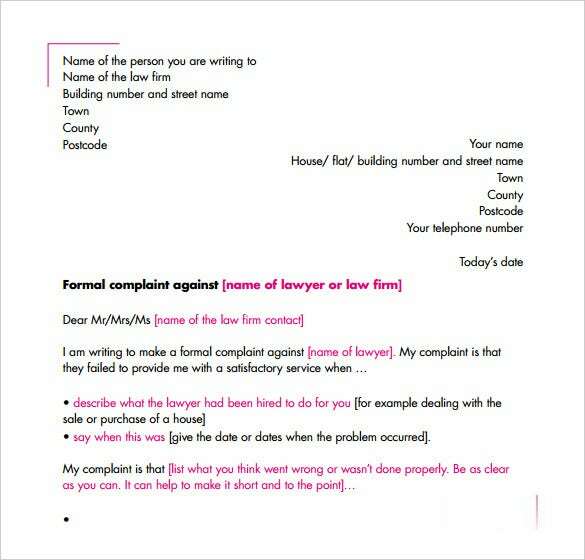 During writing of a formal complaint letter there should always be a formal address to the person or organization the letter is written to with the complaint mentioned in it. The letter should be made in such a way that it is compatible to various file formats like MS Word, PDF and PSD. A noise complaint letter can be written so that it supports file formats such as MS Word, PDF and PSD. 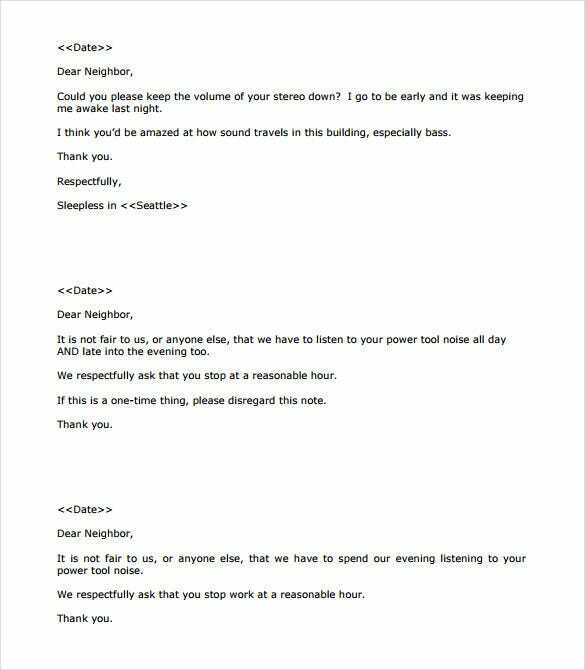 The noise complaint letters are written to complain about the perpetual noise disturbance created in the premises which results in disturbance all around. An overall tone of accusation must be present in the letter. 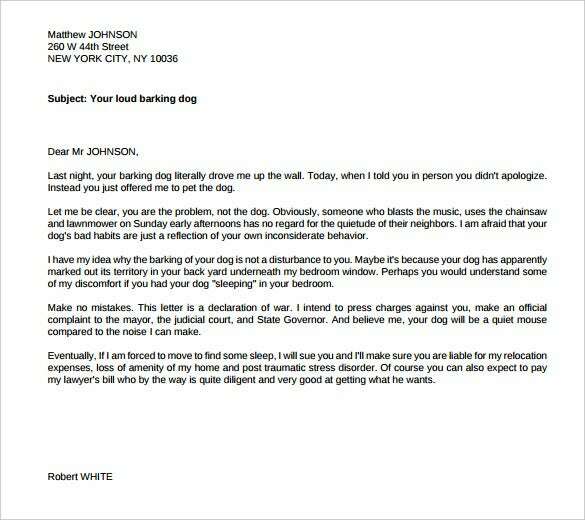 The aforementioned letter example is of an airline complaint letter. As shown, the writer has clearly indicated a list of services he was displeased with and how they were not up to the mark. This example is downloadable in MS Word, PDF and PSD formats. It is fully customizable too. Discomfort while travelling is annoying and not all people can stand it. 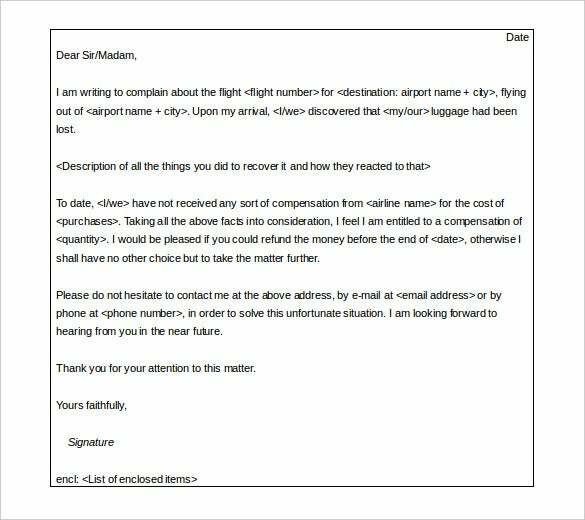 Hence while writing a airline complaint letter, one must keep in mind to correctly point out the services that according to them were not up to the mark. Letter should be written in various file formats such that it supports MS Word, PDF and PSD. 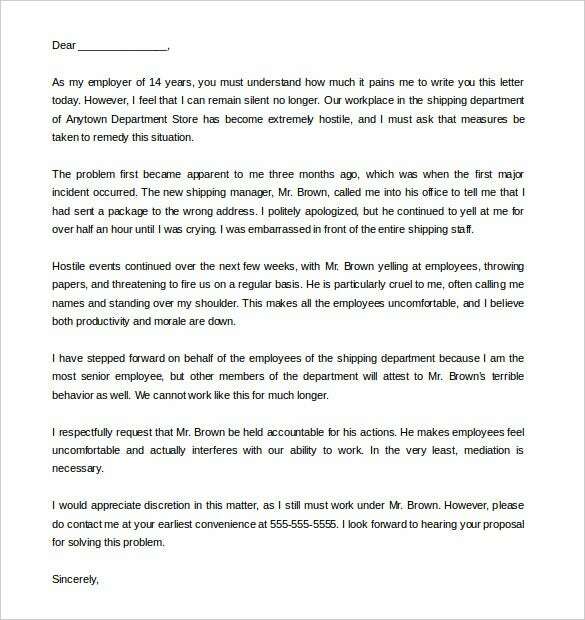 This is an employee complaint letter example. This could be submitted by an a fellow colleague or customer. If you’re writing in employee capacity, then this letter must be forwarded to higher ranks in the organization, telling about the incompetency of one or more employees in the department or team. This letter is available in Word, PSD and PDF formats. A sexual harassment complaint letter must be written used strong word, verbalizing the issue and writing with complete honesty. 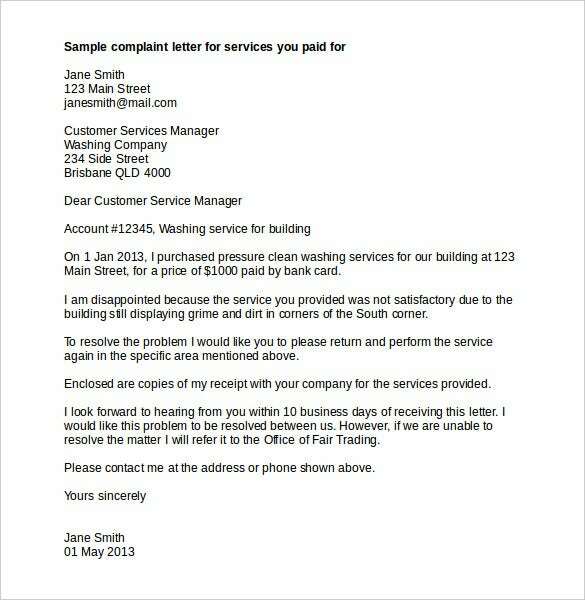 Maintaining a professional tone is important throughout the letter with a clear mention of resolution of the problem. Letters can be written in either of the way such that it supports file formats like MS Word, PDF and PSD. Letters of these type must be written so that they are compatible with file formats MS Word, PDF and PSD. A hostile work environment complaint letter demand immediate action as it voices a bitter truth about the work place. Incidents that created the hostile environment must be mentioned clearly. 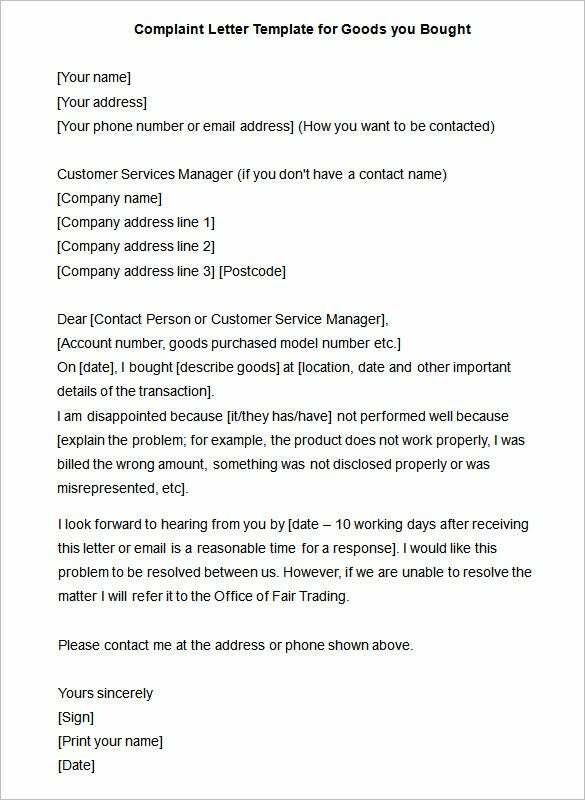 This is a bank complaint letter example, providing details of a problem faced by an account-holder. It talks about poor services being meted out and the inconvenience faced by the customer, as a result. This is a fully editable and downloadable template. It is available in file formats like MS Word, PDF and PSD.